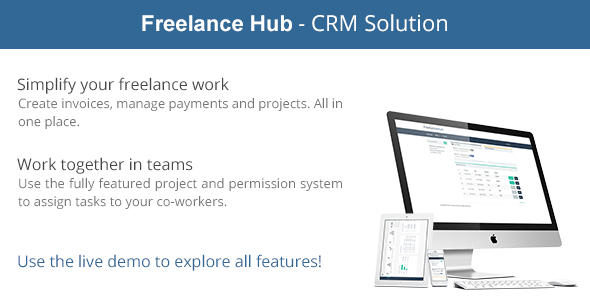 FreelanceHub is a complete solution for all your freelancing needs. It allowes you to manage projects, invoices and price inquiries. It also allowes you to distribute tasks across your team. Not only you but your clients will love it too! Itâ€™ll enable them to pay your invoices directly using the integrated PayPal and CreditCard gateways.